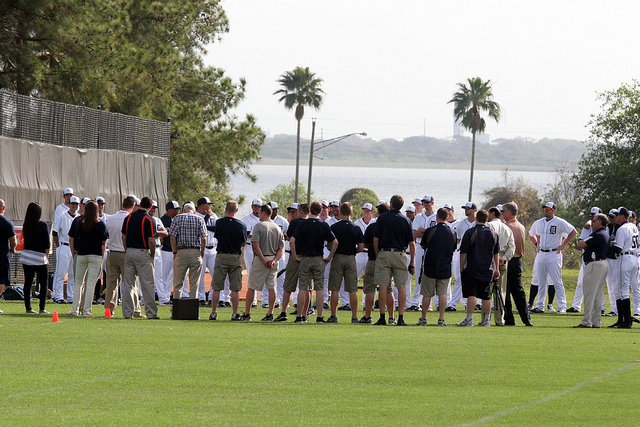 Spring training is upon us, and with it comes the inevitable deluge of former players hanging around the clubhouse, brought in by the organization for publicity and the hope that some of the magic will rub off on the current roster. As a marketing gesture, it makes a lot of sense — why pay attention, as a fan, to what is in essence warm up baseball? Cynics be damned, it’s still cool to see the legends out doing their thing, even if they’re succumbing to the ravages of time like everyone else. As a game so heavily invested in the past, baseball is a natural growth source for nostalgia. Iconic players are just that — iconic, and with the encyclopedic knowledge of statistics that the avid fan (the kind of fan that’ll show up for spring training) holds on to, it’s wild to see a former outfielder in the flesh after he’s hung up his mitt, now exactly where he’s always going to be in relation to his peers. Plus, it’s always nice to be in the same vicinity as someone who was/is really good at a sport. They tend to be impressive in the flesh. As Derek Jeter, who said he didn’t have any plans to be a special instructor when he had his wink-wink nudge-nudge “not a retirement press conference” retirement press conference, told the NY Daily News that, “It seems every year there are more and more ex-teammates turning into coaches.” That’s awesome. Here’s five of the most famous former players that are hanging out at spring training this year. This one was making headlines. After spending his retirement well outside the more-typical former player limelight (suit and tie on SportsCenter, low-budget local market advertisements, etc. ), Bonds returned to the MLB for the first time in almost any capacity since 2007. 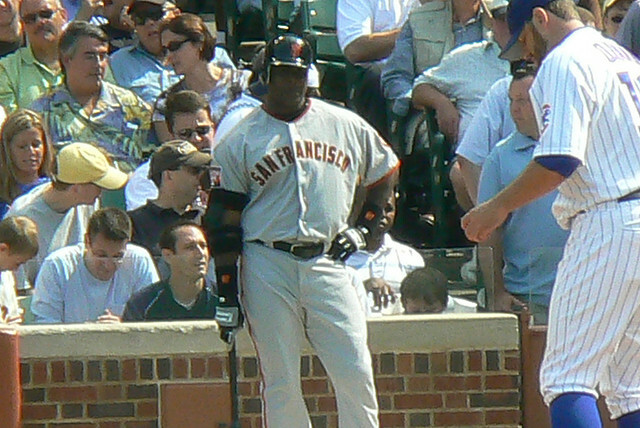 Bonds, the all time home run leader in baseball history, has had a tumultuous relationship with the league — after being indicted on perjury charges stemming from a steroid investigation, he has since been turned down from admittance into the Hall of Fame despite his eligibility and outstanding credentials. When asked by ESPN how he felt about the Giants since leaving in 2007, Bonds had nothing but good things to say. “I think they did pretty good without me,” Bonds told the network. “They won two World Series championships. I don’t know if I can help. I know I can do one thing: I can help you do a little better than you already are. But I don’t know how much I can do. But I will have time to find out.” As a roving free coach, Bonds’s role with the team is a little nebulous, but he hopes to catch on with the franchise beyond this spring training, which is only a week long. Didn’t Doc just retire? Like, last season? Not even. Halladay announced his retirement after signing a one-day contract with the Toronto Blue Jays in December, not more than four months ago. The 36-year-old pitcher signed on with the Phillies to offer his perspective and advice to the current Philly bullpen crew, who have been identified as a group that need improvement by MLB.com. Halladay, like Bonds, seems open and excited at the prospect of continuing to be around the clubhouse now that his active career is behind him. While making it clear that he wanted to spend much of his new found free time with his family, Halladay wouldn’t rule out becoming a regular presence during spring training. 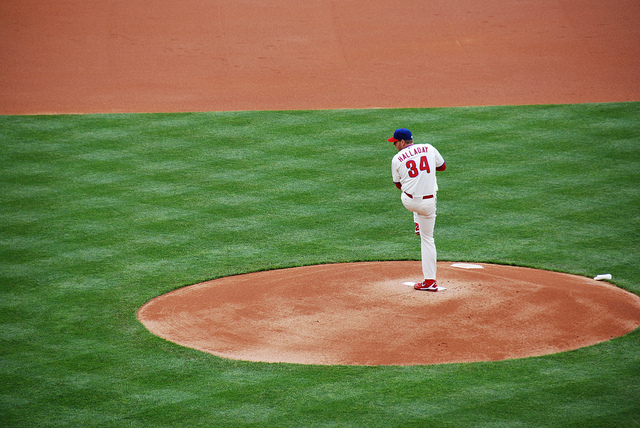 “Once I see how things work, yeah, I’d love to continue to do it and if I have more time, do more.” Halladay told ESPN. “It’s just a matter of starting to figure out how much I can do. Once the kids are [grown up], maybe it’s something to do full-time.” Halladay’s work with the Phillies has been centered largely around the mechanics of pitching, both with the Phillies players and their coaching staff. Mike Piazza, now 45 and still the all time homer leader for catchers in the MLB, returned to the Mets for this year’s spring training. 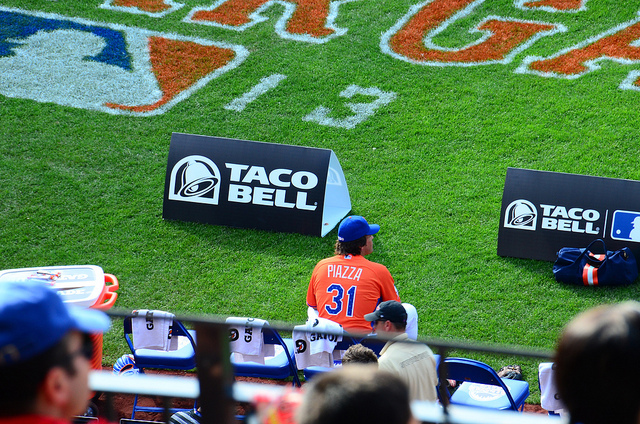 This marks the first time Piazza has been involved with baseball since the closing of Shea Stadium in 2008. Fresh off his New York Mets Hall of Fame introduction (he has yet to make it into the Baseball HoF) in September, the catcher explained to ESPN that while his 7-month old was the main focus for him right now, the guest instructor gig offered him an opportunity to help other Mets players make the most of their pro baseball opportunities. “It’s fun to get back in uniform and be around the clubhouse. And I feel like I have a lot to teach,” Piazza said. “Obviously, I feel like I got a lot out of my ability when I played.” That’s no exaggeration, as Piazza is widely regarded by fans and players as one of the best catchers of all time. The Mets could certainly use whatever pixie dust might manage to fall off of Piazza. After finishing every season since 2008 with a losing record, the New York ballclub has failed to reach the playoffs since 2006. After being invited last year, Hideki Matsui — the renown lefthanded outfielder who retired with the New York Yankees in July via a one-day contract — will finally make an appearance at spring training. 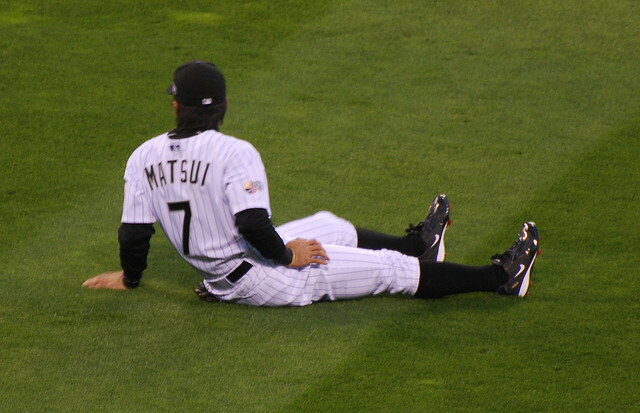 Matsui, who was a designated hitter after knee surgery forced him off the field, played in the MLB from 2003-2012, was a two-time all star and made over $83 million in his MLB career. He was also the first Japanese born player to be named World Series MVP, which he earned in 2009. Another Yankees legend, catcher Jorge Posada, is also scheduled to make an appearance as a guest instructor for the team. Being surrounded by former teammates is what prompted Derek Jeter, who is in his last professional season, to comment on the influx of former players turned special coaches. 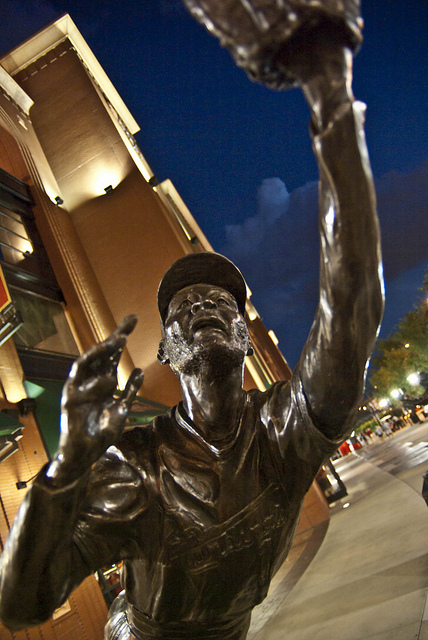 The only player on this list to have his own statue, Hall of Fame shortstop Ozzie Smith, is arguably the most capital-L Legend on this list, as well as the most tenured special instructor, having spent the last three springs with the Cardinals. Last year, Smith let MLB.com know that he’s not doing this for publicity, he’s doing it to provide knowledge.